Love takeaways and crisps? You're in luck! Tayto has announced the winning flavour from its #TaytoFlavour campaign. After months of speculation, Tayto has launched a limited edition Spice Bag flavour as voted by the public. 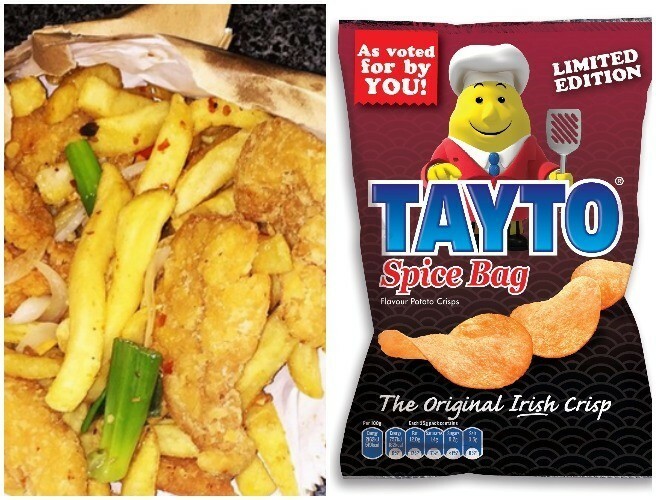 In February of this year, Tayto launched it’s Tayto Flavour campaign – Mr. Tayto asked the public to decide his next new limited-edition flavour, the Irish-inspired flavours included; Spice Bag, Sunday Roast, Breakfast Roll and Curry sauce. Voting took place via online and Mr Tayto’s national roadshow giving the Irish public a chance to vote for their favourite flavour! The response was huge with the public battling it out but the votes were counted and it seems you all like a bit of spice! Tayto Spice Bag won via landslide victory with a huge 51% of the vote! Want to taste the winning Tayto Spice Bag flavour for yourself? The limited edition is available in stores from NOW for a short period!